Going on a holiday and finding out that you can’t fit all of your luggage in the convertible? Cabrio Supply has found the solution for this problem. 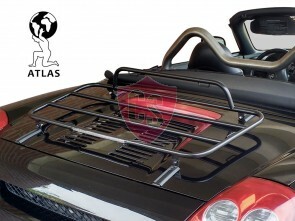 A convertible car luggage carrier for the extra luggage or for the extra styling of your convertible. 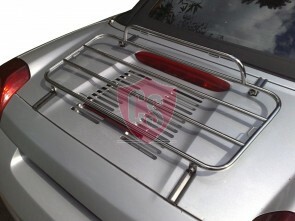 With this stainless steel boot rack you can load a maximum of 44 pounds (20 kg). 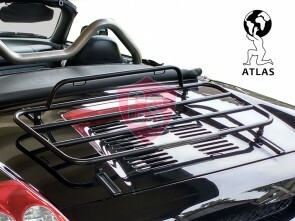 All of the convertible trunk carriers are designed that the boot lid won’t be scratched because of the 3M foil which is included inside the box. 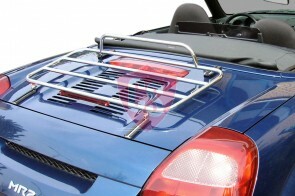 No drilling is required for the luggage racks so no scratches and no holes will be in the trunk after uninstalling the rack.